ASAP’s Kids Zone, located at Platinum Fitness, is equipped for our “little athletes.” The smaller gymnastics environment and equipment allows for increased safety and proper progression of skills for your child. The class curriculum is geared to teach the fundamentals of gymnastics while incorporating motor, coordination and social skills. Classes are determined by age to ensure proper developmental readiness and progression. All classes are 50 minutes and cost $60 per month during the school year session. Students must meet the age requirement as of the first day of the month the session begins. This adult participatory class is designed to help build self esteem and self confidence in your child. Parent and child work together to enhance balance, coordination and motor skills in the youngster. This independent class focuses on motor skills and coordination. 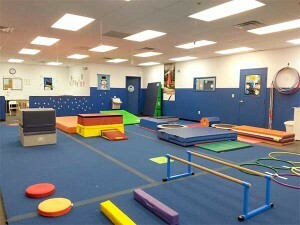 Children will also learn basic gymnastic movements and beginner apparatus skill work. This class is an independent class and more challenging skills are introduced. The class focuses on the refinement of motor skills and basic gymnastics skills while having fun! This independent class engages children in combined gymnastic movement and coordination. Apparatus work and instruction is more detailed and focused. This class is also geared to prepare our older athletes for the Academy Program. This all boys class prepares the students for the beginner boys classes in our Academy program. The class focuses on apparatus work & “urban gymnastics” (running,jumping, rolling, obstacle work). Register for the remainder of the School Year 2016-17 session.